Want to be a magazine cover model? Have you ever wanted to be on the cover of a magazine? Are you a real bride-to-be or a recently-married- bride in the greater Sacramento area? Then you have to check out my friend Wendy’s magazine, Real Weddings Magazine. Each issue, their team picks three real brides to participate in an all day photo shoot that ultimately turns into the fashion feature for the magazine and the covers (yes, I said coverS) for the magazine—with all three finalists appearing on one of the covers and then one of the three gets to be the cover model winner appearing on the other cover on her own! How cool is that?! Want to know more? 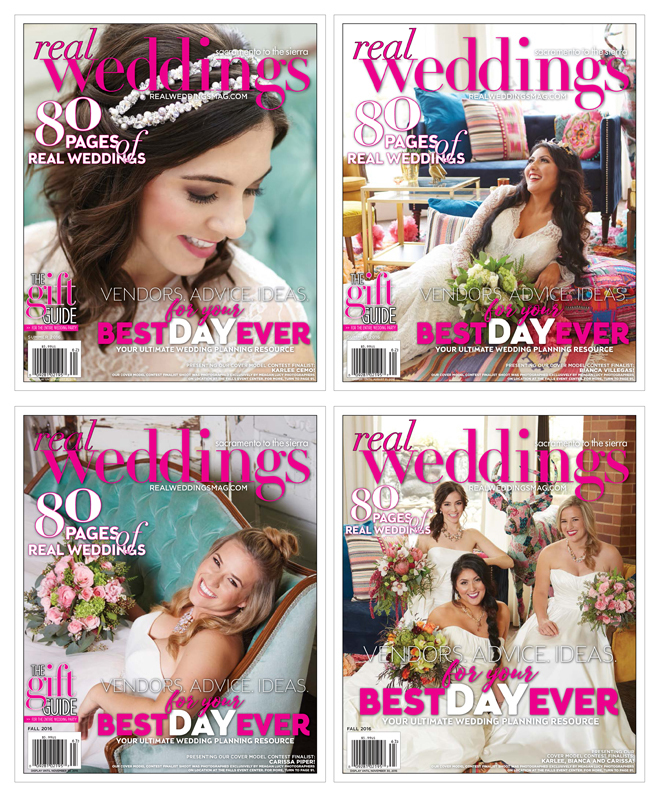 Head on over to the Real Weddings website and check out their “Be Our Next Cover Model” blog post! Hurry though…all entries have to be in by August 9, 2016, and be sure to check out all of the rules to make sure that you qualify. Good luck! I’d love to see a Julia Croteau Photography Bride on the cover…don’t be shy. JUST. DO. IT! This entry was posted in Photo Shoots and tagged Bridal Fashion, Cover Model Contest, Photo Shoots, Real Weddings Magazine, Sacramento Brides.